Prime Minister Hun Sen on Tuesday reiterated support for the One-China Policy by saying that although Taiwanese people are allowed to conduct business in the Kingdom, the government will not allow a consulate. 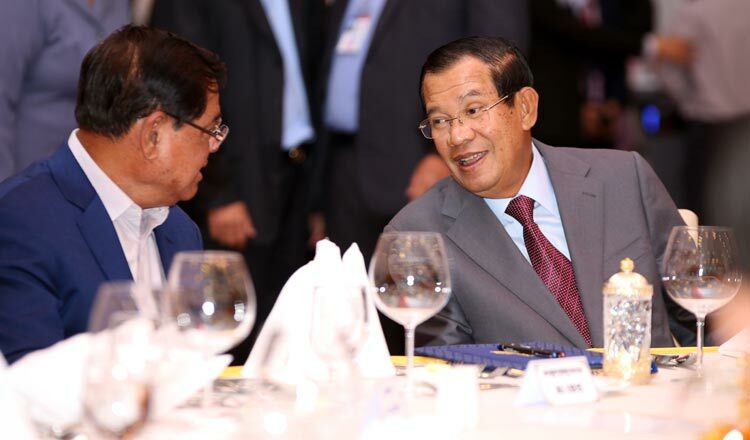 Mr Hun Sen made the statement during a dinner with the Association of Khmer-Chinese in Cambodia in Phnom Penh. He said people from Taiwan, Hong Kong and Macau must understand that Cambodia has always supported the One-China Policy since it was recognized by then Prince Norodom Sihanouk in the 1950s. During the Chinese Civil War in the mid-20th century, communist forces led by Mao Zedong pushed the pro-democracy forces of Chiang Kai-Shek all the way to Taiwan. The war has since ended, but Taiwan has always presented itself as a sovereign state, separate from China. However, in 1972 China issued its One-China Policy, stating that Taiwan is part of China. Today the world is divided into two groups; one that recognises China’s unification claims and one that does not. The One-China Policy is also a prerequisite for any country to deal with Taipei through Beijing. Mr Hun Sen said Taiwanese investors who are welcomed in the Kingdom, but the government will not allow the establishment of a Taiwanese consulate. He noted Cambodia has always respected the One-China Policy and has always been close to the Chinese government since the administration of Prince Sihanouk. “We have to maintain this friendship, as we have developed a comprehensive strategic partnership with China – we have become strong friends,” Mr Hun Sen said, noting that he visited China in January to speak with President Xi Jinping and Prime Minister Li Keqiang. Additionally, Mr Hun Sen will further boost ties with China by attending a Belt and Road Initiative meeting at the end of this month. “As planned, I will meet President Xi and Prime Minister Li,” he said.